Although I am based in England, I don't think many of the pianists featured on this website live in this country (except Benji Grosvenor - who performed at the 1st Prom in London's Royal Albert Hall in July, 2011 and Faye Evans). They're mostly from the United States, Canada, Japan, Russia and China. I guess we don't go in for this in England. Michael Jackson died in 2009 and I've frequently heard him described as a musical genius, yet he didn't play musical instruments. The children featured on this website, are true musical genii (or is it geniuses in modern parlance?). Please explore the site; when the site is finished, there will be over a thousand video links to these amazing child pianists. There will eventually be detailed information about many of them too. 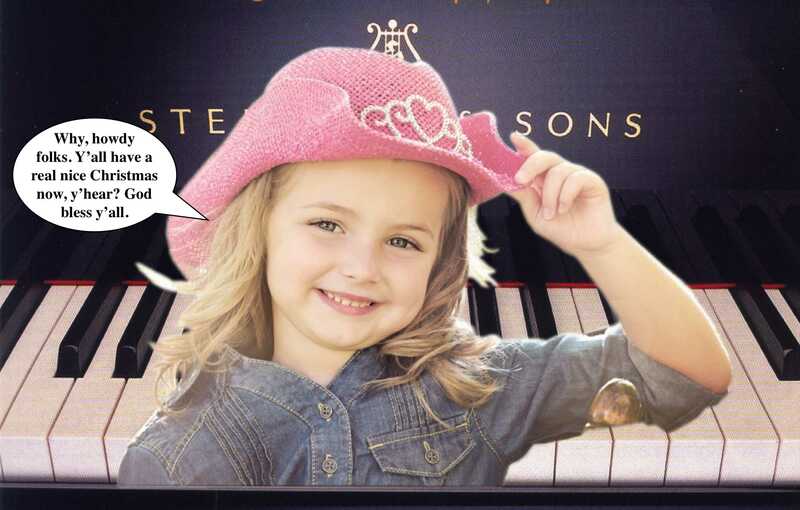 There are many young pianists around the world today, many of them pre-teen. We would hope to help to bring the limelight to these amazing classical pianists, as is deserved by them. The level of genius that is displayed by these kids should not be allowed to go un-noticed. Pop performers are making it big with either deliberately concealed or non existent talent. I may be wrong, but I believe that Stefani Joanne Angelina Germanotta, otherwise known as Lady Gaga, has more pianistic talent than she currently demonstrates, but as her default performance act appeals to a much larger audience than would classical piano recitals, who can blame her for doing what she does? BTW, I like what she does so I'm not knocking her! I've been wondering why there are such brilliant pianists of pre-teen age. How is it possible for an 8 year old to play Chopin and Rachmaninov in such a way, that it's indistinguishable from a performance given by a top concert pianist? If we were blindfolded and could only hear, most of us wouldn't know the difference, if there is one. I've never given much thought to re-incarnation before, but I was listening to a discussion on BBC radio one morning (9th August 09) about that subject. It was suggested that there was no such phenomenon as a 6 year old Mozart composing a piano concerto. The suggestion was that he had lived before and was just continuing from where he left off. Silly, or not? The interview was sparked off by the parents of a four year old boy in America who, through his nightmares, can describe accurately an air dogfight over the Pacific between the Japanese and the Americans in WW2, where a plane went down and the pilot was killed. The boy is describing the incident from the perspective of that pilot. He has named his toy soldiers after three of the pilot's comrades, whom he could never have known about. If any of the videos fail to play on this site, double click, then it will go directly to You Tube. Above: a pic of me when I was a (not so genius) kid. Children versus professional; pianists - click for 'the Genius Child' to read about this amazing phenomenon. BBC Proms - started Friday 15th July 2011. Benjamin Grosvenor played Liszt's Piano Concert No 2 on the first night. Click here for direct link to website.